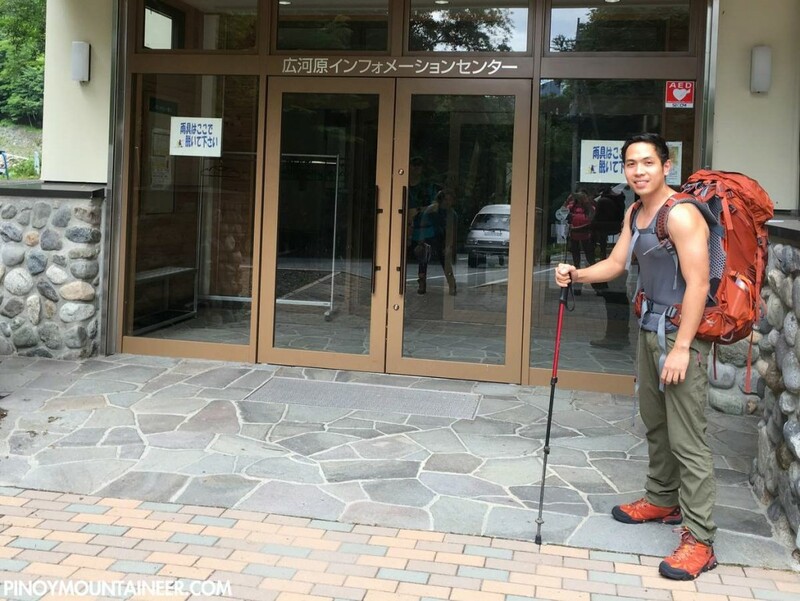 TOKYO, JAPAN – It’s been a while since I’ve hiked in Japan (the last one was in 2012 when I went to Hokkaido), and I am very happy to finally have done of my dream hikes here – a traverse in the Minami Alps from Kita-date (北岳) to Ai-no-dake (間ノ岳), at 3193m and 3189m the 2nd and 4th highest peaks in Japan, respectively. 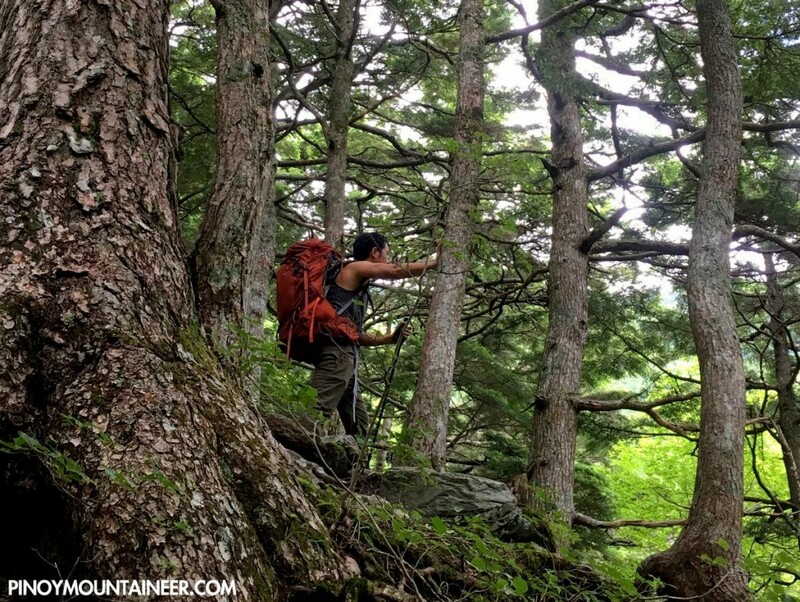 For this particular hike I was joined by Coby Sarreal and Cynthia Sy. We started the journey from Nagoya, taking the train to Kofu via Shiojiri, and staying in Kofu overnight before taking the Hirogawara-bound bus from the Kofu Station. Arriving in Hirogawara at 1100H, we started the trek almost immediately. 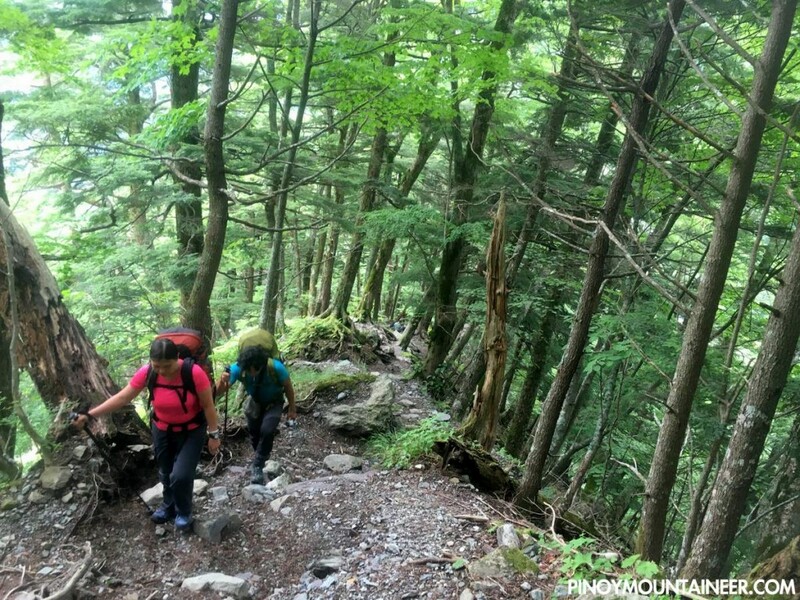 The trail coursed along a beautful temperate forest, moderately steep but with a well established trail with occasional wooden ladders. 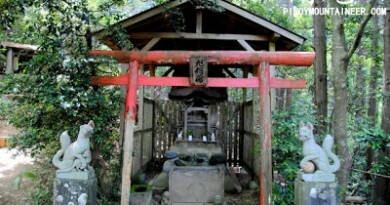 There were two trail variants and we took the one that passed through the Shirane-oike-koya (白根御池小屋) hut, taking us 2 hours. From the hut, we ascended 3 hours to the Kita-dake kata-no-koya (北岳肩ノ小屋), where we spent the night (Y4000/person). 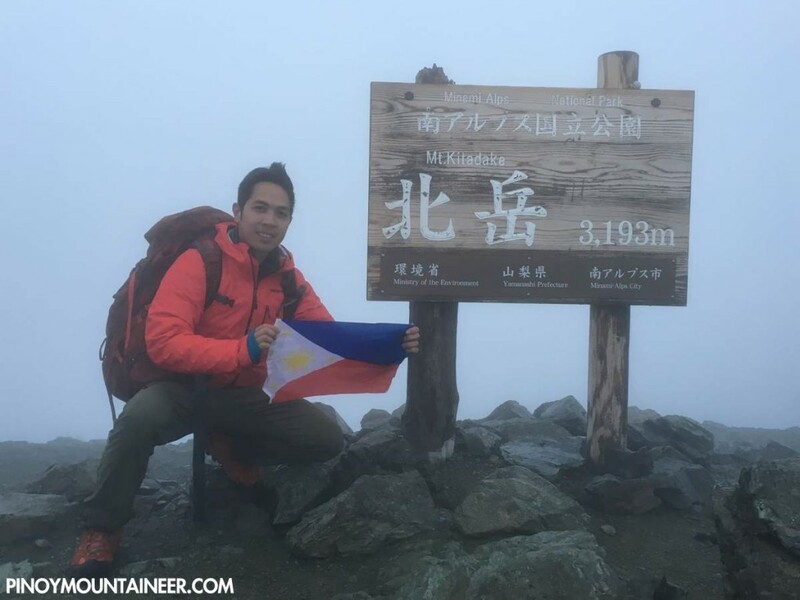 The next day, we woke up very early and started trekking at 0340H, in the hope of reaching the Kita-dake summit in time for sunrise. There was no sun, however, when we set out with our headlamps, and we were greeted instead by very poor visibility! Even so, however, we made our way past the steep, sometimes rope or chain-assisted, rocky trail, reaching the summit at 0430H. 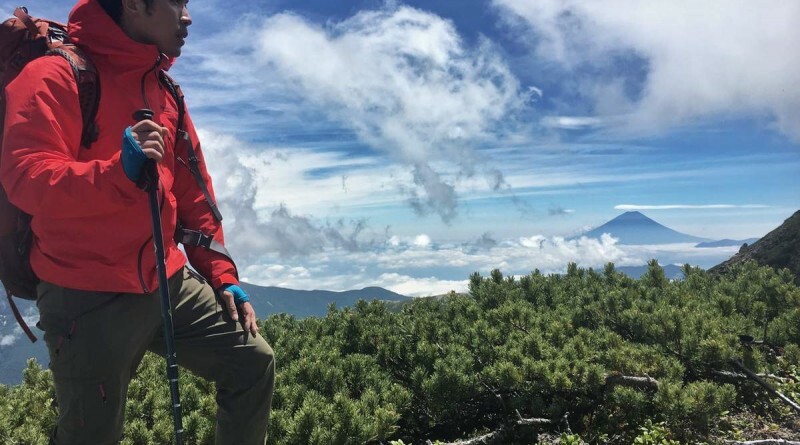 Even without the hoped-for views of Fuji, I was so glad to fulfil my dream of Japan’s 2nd highest peak! 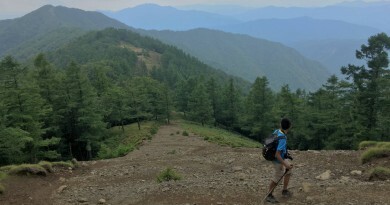 trek to Ai-no-dake in spite of the fierce winds and very poor visibility – on a ridgeline that’s mostly 3000 meters above sea level! 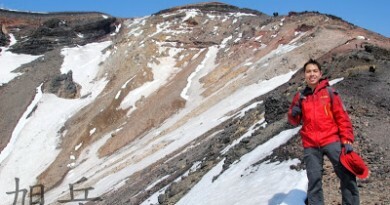 Still hopeful that we would soon have good weather, we pressed on, but found Ai-n0-dake even more inhospitable. It was so windy and cold that we only spent a few minutes at the summit! 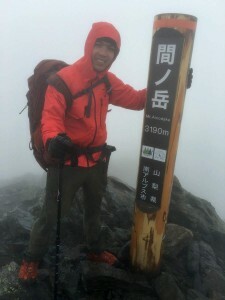 The poor visibility notwithstanding, we were thrilled at the thought of having done the 2nd and 4th highest summits of Japan in the same morning! 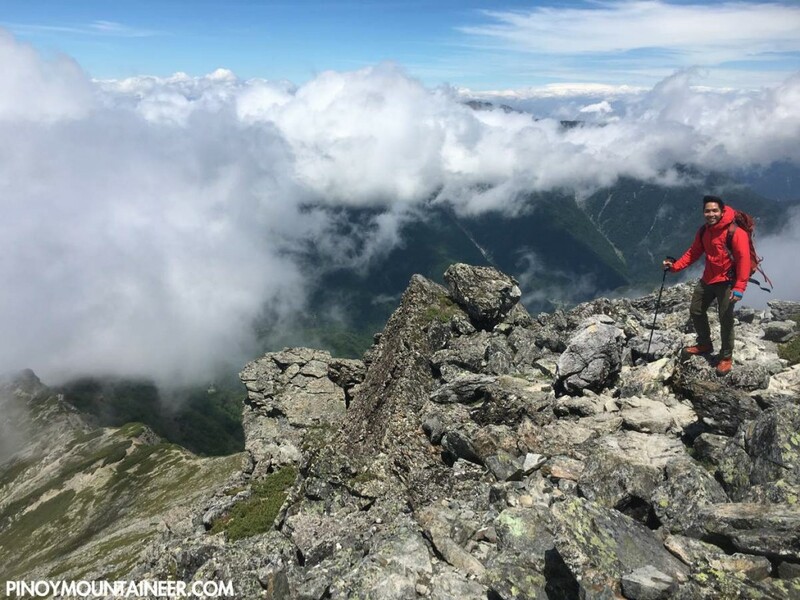 But the challenge did not end in that windy peak – we had to climb Kita-dake’s summit again, since it was the only way back to our mountain hut! For the last time, we went up a peak hoping that the fabled views will finally be made available to us. As it turned out, third time’s the charm! 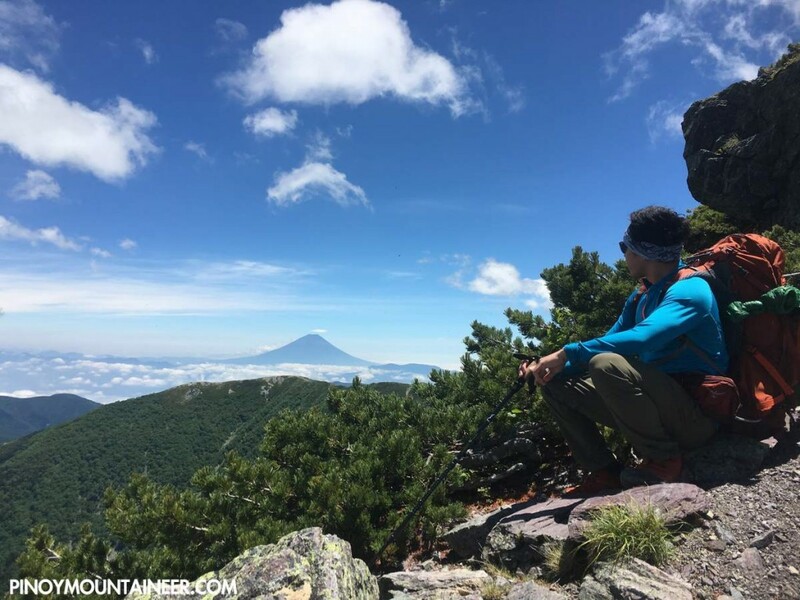 Just past the summit, as we were making our way back to the hut, the sky finally cleared, opening up stunning views not just of the Minami Alps, but of Fuji itself! 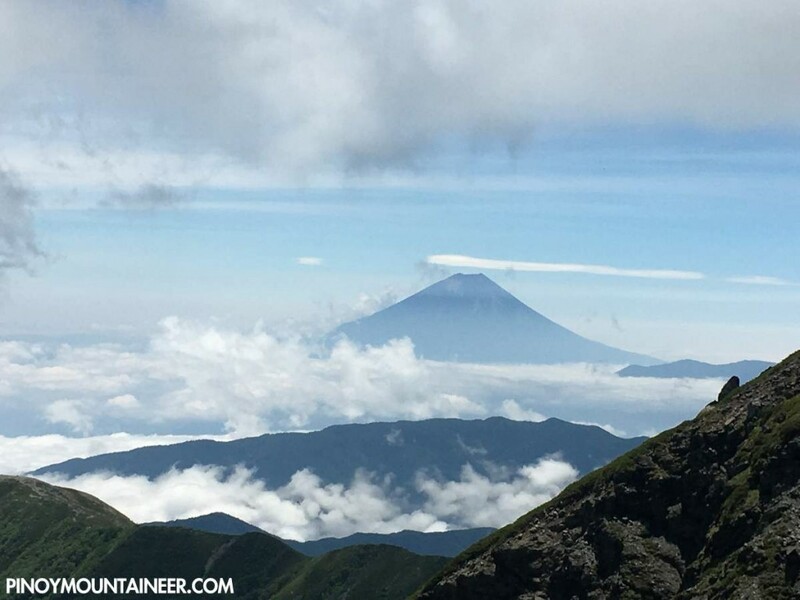 We were very much torn between staying on to admire the mountain – and catching the 1640H bus to reach Tokyo the same day! Fortunately, we managed to accomplish both. 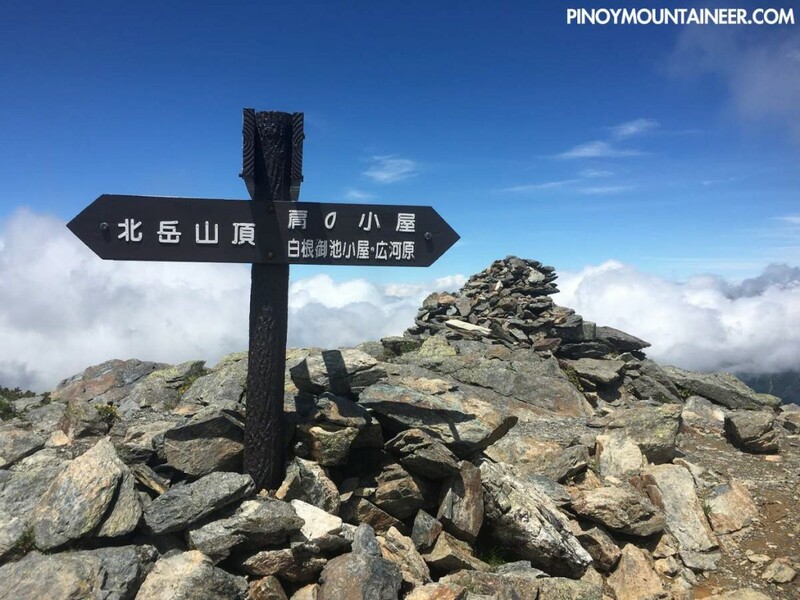 True to the estimated time indicated in the Japanese trail signs, the descent took just 4 hours (including a soft-serve ice cream break in the midway hut). The state of being transfixed by beautiful Mt. Fuji, however, took much longer.